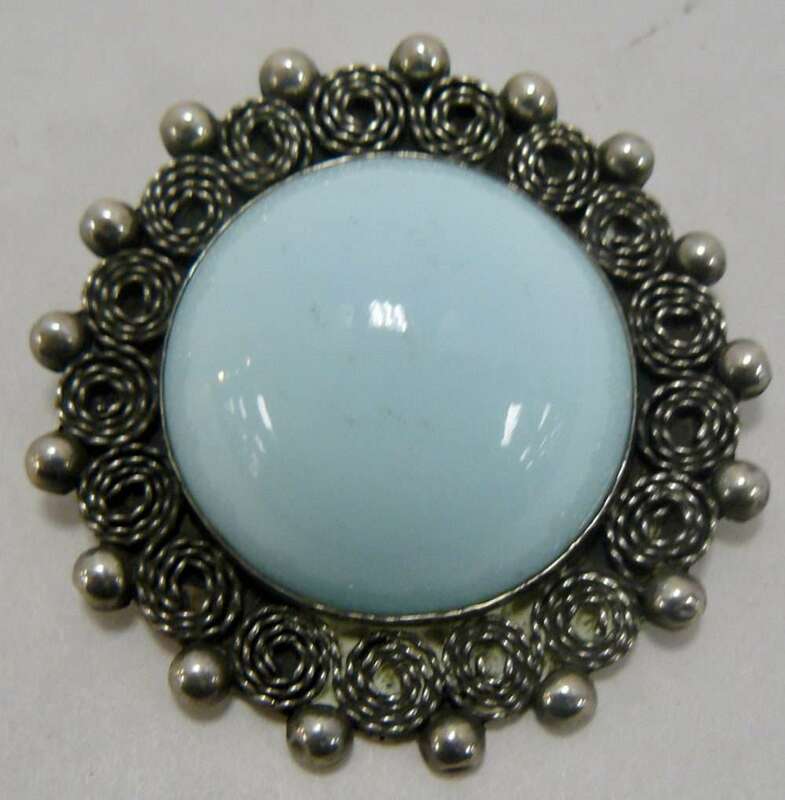 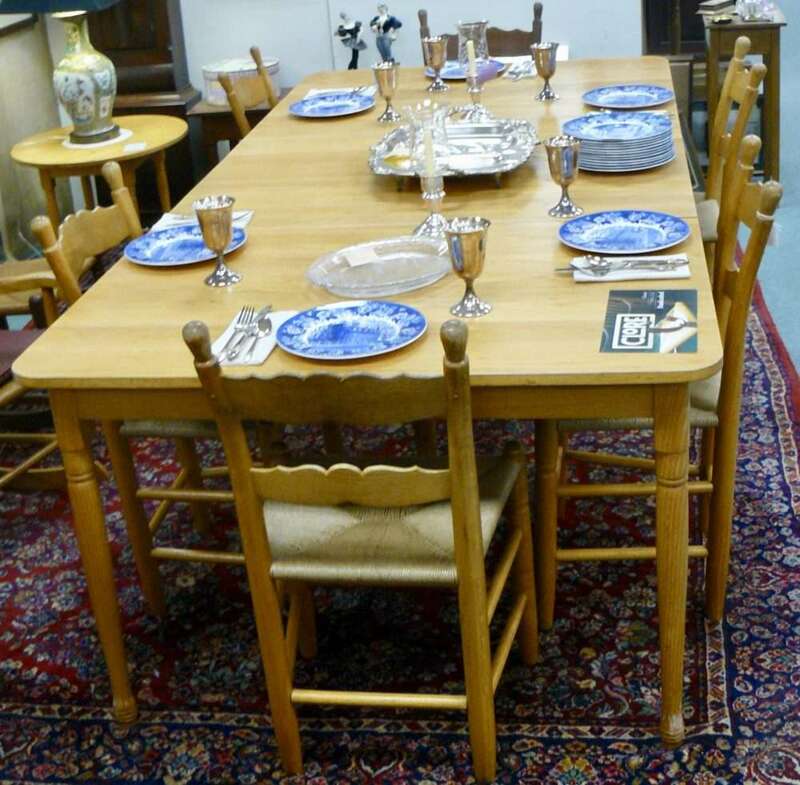 Six Leg Extension Table, (Clore) – Native American Pottery and a Fabulous Larimar/Sterling Brooch! 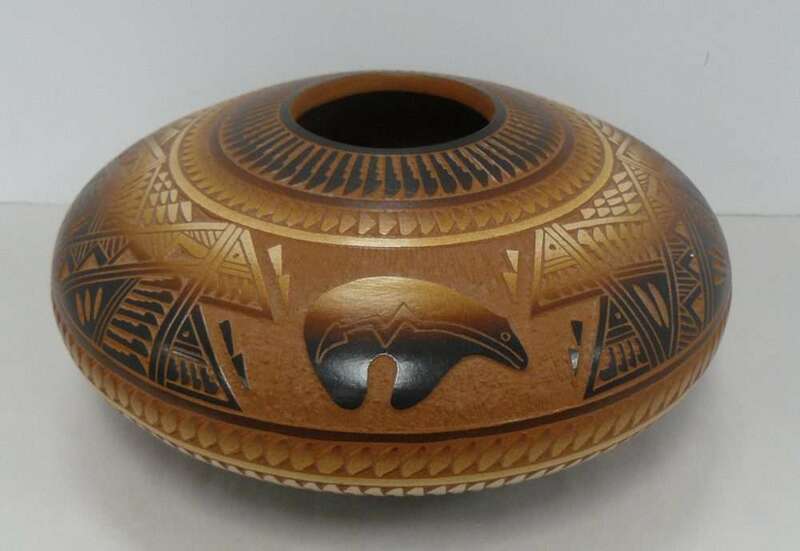 Native American Pottery Vessel by Wilber Jr and Dianne Aragon – Pueblo – Acoma, Booth 314, $295.00. 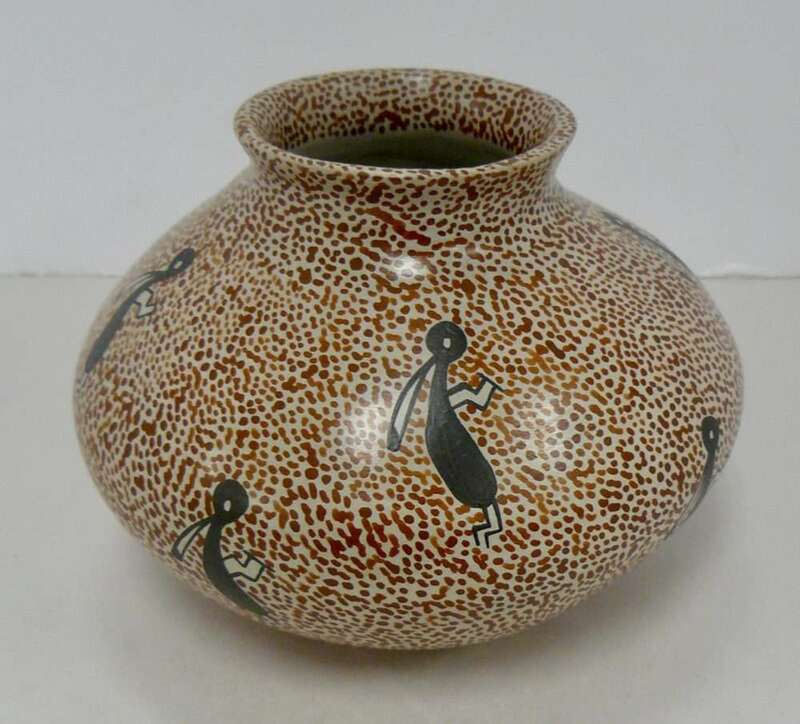 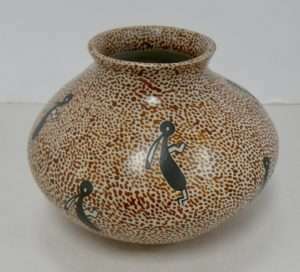 Ant People Pot by Elena Rodriquez, $55.00 – Booth 362. 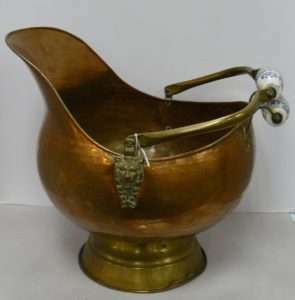 Brass/Copper Delft Coal Scuttle – $59.00, Booth 314. Pepsi-Cola Cabinet – Booth 111, ON SALE – Was $395.00, Now $335.00! 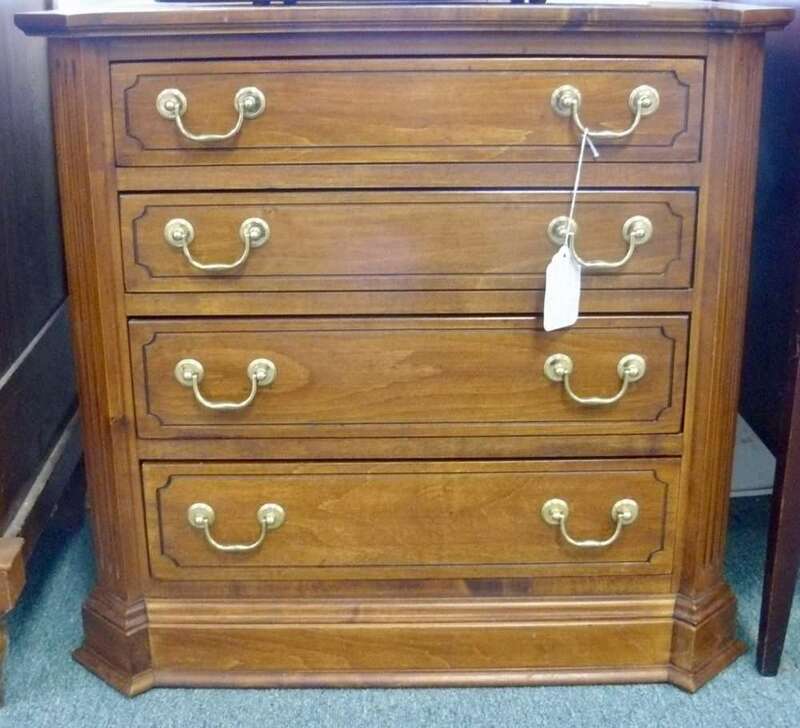 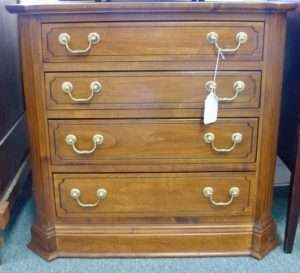 Knob Creek Four Drawer Cabinet – Dove Tailed – $395.00. 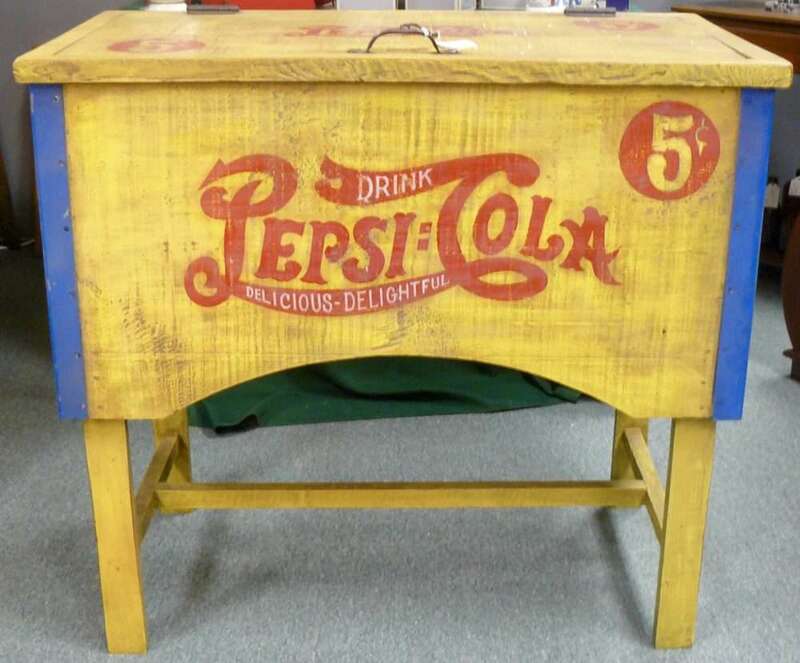 Booth 411. 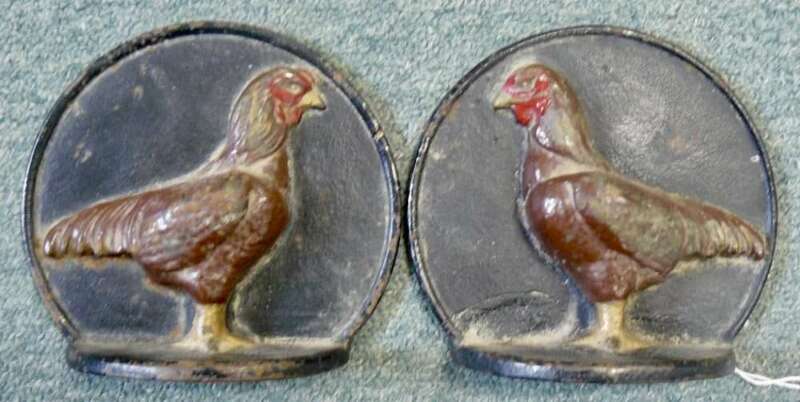 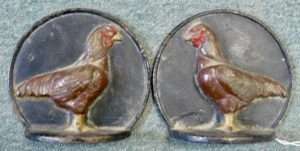 Metal Crafters Cast Iron Bookends – $68.00, Booth 411. 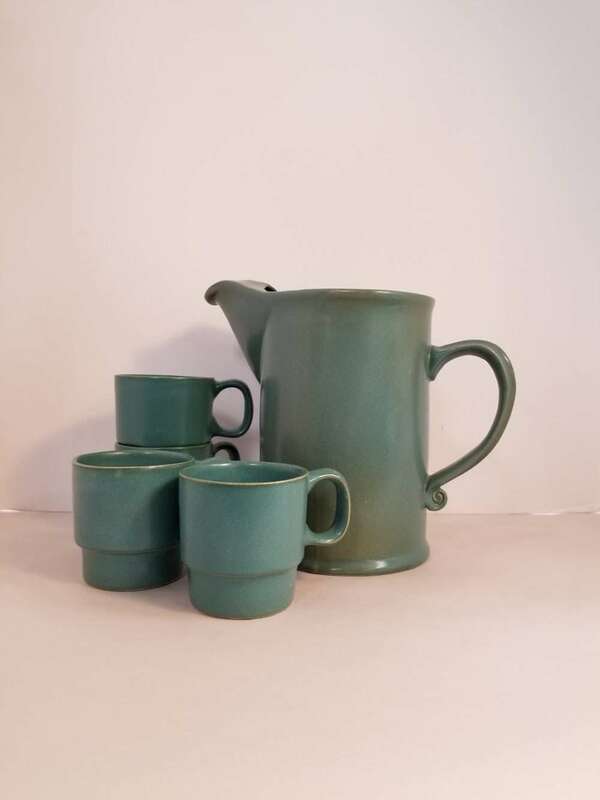 Bennington Pottery (Vermont) Pitcher and Four Cups, Set, $145.00. ‹ An Old Spinning Wheel, A Beautiful Hanging Cabinet and an Unusual French Clock!